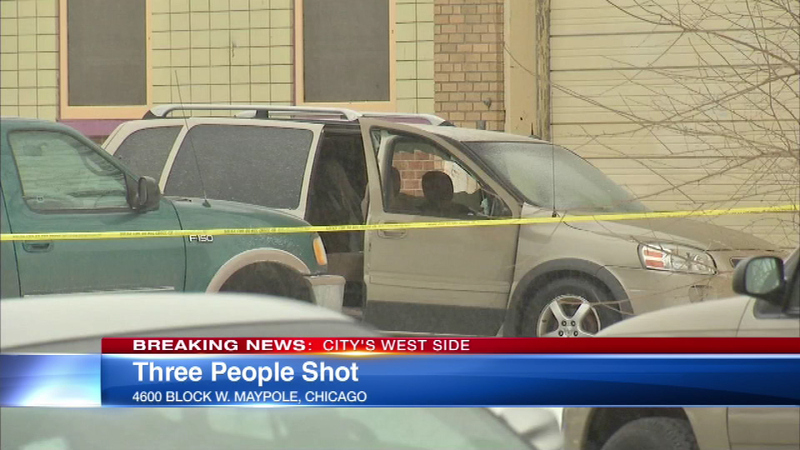 CHICAGO (WLS) -- Chicago police say three people were shot and injured in the 4600-block of West Maypole in West Garfield Park Monday afternoon. Police say the shooting happened shortly after 3 p.m. A 19-year-old male was wounded in the arm and back and taken to Mt. Sinai Hospital in critical condition. A 17-year-old male was shot in the face and a 23-year-old male was shot in the arm. Both were taken to Stroger Hospital in unknown condition. Police say all of the victims are documented gang members.